Ivan Rupnik is a Tenured Associate Professor at Northeastern University’s School of Architecture in Boston. He has held academic positions at Universidad San Francisco de Quito, Syracuse University, Harvard University and the Rhode Island School of Design. Rupnik holds a BARCH from LSU and an MARCH and PhD from Harvard University. 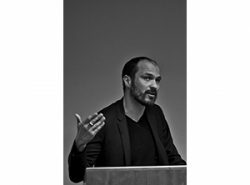 His scholarly work has focused on the relationship between moments of instability and transition and the formation of innovative architectural and urban design methods, particularly those that evolve from exceptions to standard practice and regulatory framework. He is the coauthor of Project Zagreb: Transition as Condition, Strategy, Practice (Actar, 2007), and author of A Peripheral Moment: Experiments in Architectural Agency (Birkhauser-Actar, 2010) and the forthcoming Projecting in Space-time: The Laboratory Method, Modern Architecture and Settlement-building. His design work has been exhibited at Harvard University, the Venice Biennale, Arch Moscow and the Zagreb Biennale, among other venues. Most recently, his design work has included collaboration on a strategic spatial development plan for the University of Zagreb and a design for a new public space for that city, partially completed in 2013. 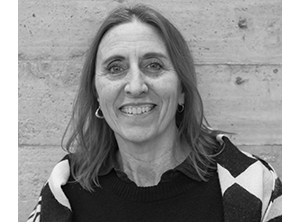 Since 2014, Rupnik has served as the Associate Editor of the Journal of Architectural Education.